Greg Johnson is a partner in the Sacramento office of Lewis Brisbois and a member of the Complex Business & Commercial Litigation Practice. Mr. Johnson is a lead trial attorney with more than 30 years of experience handling complex commercial litigation cases in state and federal courts, as well as state and federal appellate courts. Mr. Johnson has been lead trial counsel in dozens of jury trials, bench trials and binding arbitrations. 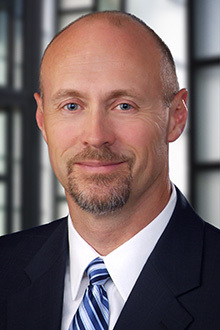 The main focus of his practice is financial services litigation, and throughout his career Mr. Johnson has represented numerous national and regional financial institutions in complex commercial disputes, lender-liability disputes, consumer class actions, and judicial foreclosure actions on commercial projects. As a result of this experience, Mr. Johnson has also represented other companies that support financial institutions, such as in the areas of credit reporting and collection, vehicle repossession and sale issues and protection of privacy and personal identification information. Mr. Johnson has also represented clients in securities fraud class actions; disputes over patents and trade secrets; antitrust and competition cases; actions involving disputes over payment and reimbursement for managed health care services; and actions arising from the denial of claims against governmental entities. Prior to joining Lewis Brisbois, Mr. Johnson served as a judicial law clerk to the Honorable Robert L. Vining of the Northern District of Georgia. He also was a partner at another major national law firm. Representation of regional and national financial institutions. Represented clients in prosecution of claims for judicial foreclosure (including appointment of receiver) and winding up of agricultural and various commercial operations, and collection on guarantees promising repayment of debt owed by commercial borrowers. Represented clients with respect to work-out arrangements on troubled commercial loans, including those secured by real property and involving underlying personal guarantees. Representation of financial institutions in defense of Consumers of Automobile Reliability and Safety (“CARS”) Litigation. Represented three Northern California financial institutions in defense of § 17200 actions filed by CARS seeking to force disgorgement of collections of deficiency judgments allegedly collected in contravention of California’s Commercial Code and Rees-Levering Act. Representation of several regional financial institutions. Represented clients in defense of multiple alleged class actions involving claims of interference with economic relations, fraud, § 17200 violations and Rees-Levering violations, as well as defense of lender liability actions. Representation of nationwide retailers/merchants/lenders in consumer class actions in defense of a variety of alleged statutory violations. Representation of nationwide retailers in defense of Song-Beverly Credit Card Act litigation. Representation of nationwide retailers, restaurant chains and an oil company in defense of national class actions alleging violations of Fair and Accurate Credit Transactions Act of 2003 (FACTA). Defeated a motion for nationwide class certification in a FACTA case filed against one of the nation’s largest retailers. Representation of pharmaceutical company in multiple California-wide consumer class actions involving claims of California gift card law violations, § 17500 violations and § 1750 violations. Representations of national retailers in California-wide consumer class actions involving claims of California gift card law violations, § 17500 violations and § 1750 violations. Representation of media distributor in a California-wide consumer class actions involving claims of California gift card law violations, § 17500 violations, and § 1750 violations. Representation of national retail pharmacy services provider in defense of putative class action brought for alleged violation of California’s Gift Card and Consumer Legal Remedies Acts and Business and Professions Code § 17200. Representation of California utility company. Defended telecommunications carrier at trial against monopolization and attempted monopolization claims brought by competing carrier under section 2 of the Sherman Act. Trial counsel in six-week jury trial in U.S. District Court. Representation of world-wide alcoholic beverage manufacturer. Defense of enforcement action brought by California Department of Alcoholic Beverage Control to close Northern California production facility, resulting in administrative trial decision in client’s favor following a one week trial. Representation of national medical test laboratory and Bay Area biomedical company. Represented clients in connection with claims for interference with business opportunities and misappropriation of trade secrets. Representation of Midwestern equipment manufacturer. Representation of client in connection with alleged claims for § 17200 violation and breach of distributorship agreement. Representation of international toy manufacturer in connection with misappropriation of proprietary information claims. Representation of national law firm in connection with prosecution of business tort claims resulting in binding arbitration award in client’s favor. Representation of minority shareholders in derivative action to permit corporation to recover for fraud and self-dealing by corporate insiders operating pre-paid legal services business, resulting in jury verdict in client’s favor. Representation of Northern California regional hospital district in prosecution of action against major hospital chain to invalidate agreement, based on conflict of interest in entering alleged agreement, to sell district hospital facility. Representation of Northern California retailor/wholesaler in prosecution of trade secret misappropriation claims, resulting in jury verdict in client’s favor.